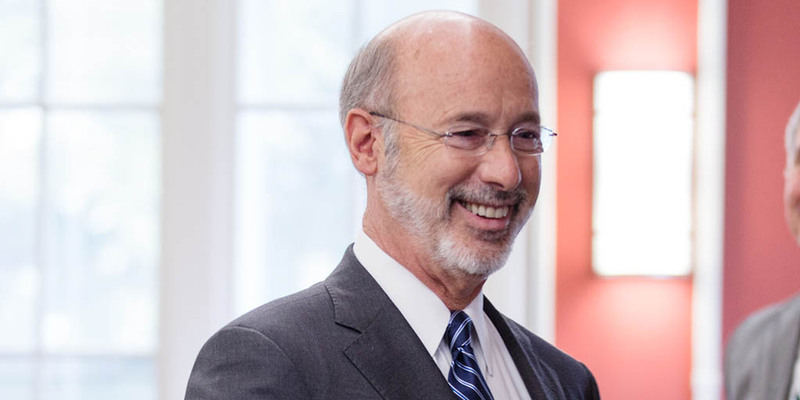 Harrisburg, PA – Governor Tom Wolf announced a new low-interest loan approval through the Pennsylvania Industrial Development Authority (PIDA) program. The loan will support the renovation of the Lawrenceville Chocolate Factory, part of the Regional Industrial Development Corporation of Southwestern Pennsylvania’s (RIDC’s) Lawrenceville Technology Center. The project will open the way for further business occupation and job creation in the Chocolate Factory. The Regional Industrial Development Corporation of Southwestern Pennsylvania (RIDC) was approved for a $1.5 million, 15-year loan at a 3.75 percent rate. The loan will support costs associated with renovations and improvements to RIDC’s Lawrenceville Chocolate Factory site which houses multiple high-tech and robotics firms. Project plans include tenant build-outs and improvements to four units, roof rejuvenation work, and the addition of a roof patio. Additionally, common area improvements consist of new carpeting, signage, tenant mailboxes, landscaping, and bike racks. The total cost of the project is $3 million. In 2018, PIDA has approved $82 million in low-interest loans that have resulted in $118 million in private investment and supported 4,296 created and retained full-time jobs. PIDA is an independent authority staffed and regulated through the Department of Community and Economic Development. The authority provides capital for building acquisition, construction and renovation work, machinery, and equipment loans along with working capital lines of credit, primarily for manufacturers, industrial developers, research and development firms, agricultural processors, and employers looking to establish national or regional headquarters in Pennsylvania.